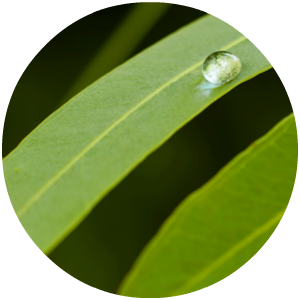 Citriodiol® is produced from steam distilled Eucalyptus citriodora oil using a process that mimics and accelerates the ageing process which naturally occurs in the leaf, by converting the citronellal content into p-menthane-3,8-diol (PMD). PMD itself is usually only present at very low levels in natural essential oils, rarely more than 1% or 2 %. This conversion process to increase the PMD content makes Citriodiol® a far more powerful repellent than the natural essential oil itself. PMD has long been known as the active compound responsible for the repellent effect, and it is the high levels of PMD in Citriodiol® which provide its efficacy. Citriodiol® contains a minimum of 64% PMD (a mixture of the cis and trans isomers of p-menthane-3,8-diol) together with a number of minor constituents found in essential oil which enhance the efficacy further. Citriodiol® has been notified under the European Biocidal Products Directive (BPD) 98/8/EC and is in the final stages of evaluation under the European Union’s Biocidal Products Regulation (BPR). It is often thought that insect repellents are similar to cosmetic products, such as moisturisers or face creams, in terms of the tests they have to pass to be brought to market. In fact, the tests required for insect repellents are generally much more stringent. For example, insect repellents must often pass comprehensive human health (and sometimes environmental) risk assessments by the relevant authorities, neither of which tend to be required for cosmetics. In many countries insect repellents are classed as biocides, such as in the European Union where they are evaluated alongside insecticides under the BPR.